The Lebesgue curve in three dimensions is a space-filling curve, similar to the Hilbert curve in three dimensions. 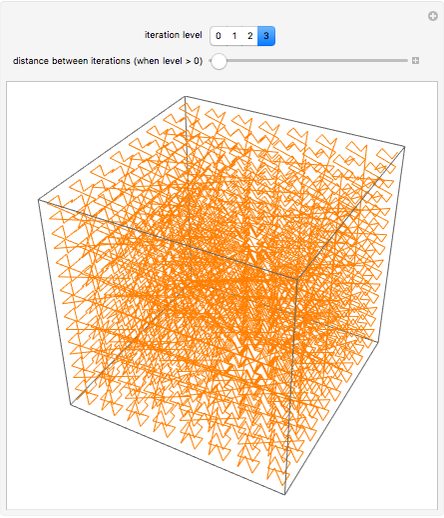 The curve maps points in multi-dimensional space to points on a one-dimensional line, and has properties that make it useful in computer science for algorithms that operate on one-dimensional data. 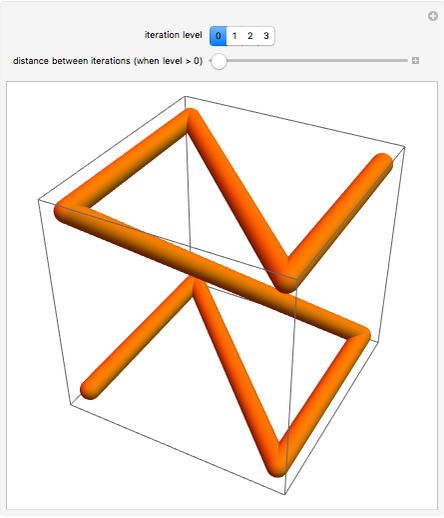 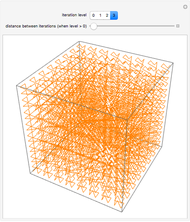 Snapshot 1: Construction of the 3D Lebesgue curve begins with the eight corners of a cube connected in a specific order. 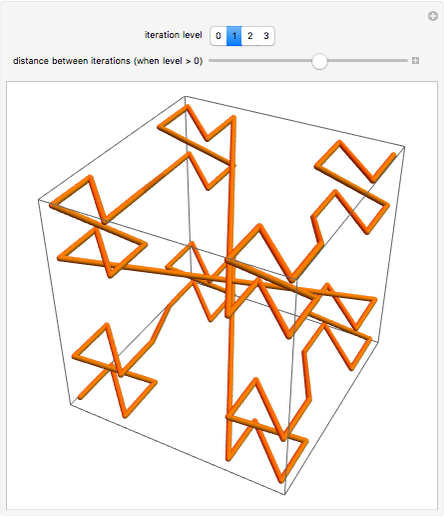 Robert Dickau "Lebesgue 3D Curves"